Here you will find pictures and other items sent in from our friends for your review. Please feel free to review and comment by clicking the link under each item. Devon Glazer sent in this picture for review. 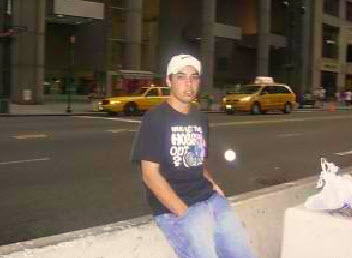 Devon tells us that this picture was taken in 2005 approximately 20 minutes after leaving ground zero in New York city. .The pic was taken outside of grand central station in downtown Manhattan, there was no light just skyscrapers and after the pic was taken I was walking into the station and experienced a feeling like my energy was sort of drained and it was almost like something was walking with me. Please let us know what you thinkl about this picture ->>> Add your comments then Click the submit button.